The RHoMIS survey is designed to be conducted on an Android device. It contains a number of core modules on farming practice, livelihoods, and food security, and optional bolt-on modules covering a wide range of topics. The core survey typically takes 35 to 45 minutes to complete. RHoMIS is available to use in research projects, development programs, and for collection of official statistics. The survey is adapted to suit the local context in each project, and therefore we invite any interested parties to get in touch with us to discuss how RHOMIS may be used. The questionnaire is available in eight languages:​ Arabic, English, French, Hindi, Khmer, ​Kiswahili, Kinyarwandan, and Spanish. 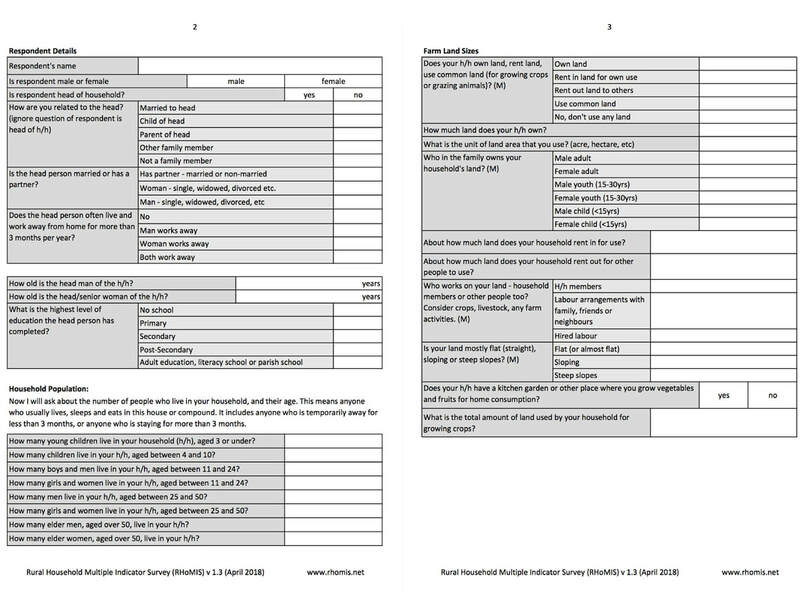 The additional modules available can be found here. Project specific questions can also be added. The standardised core and bolt-on modules allow rapid data processing and visualisation. The survey, web infrastructure, and analysis code are all built from open source software, and so can be further developed by interested parties. 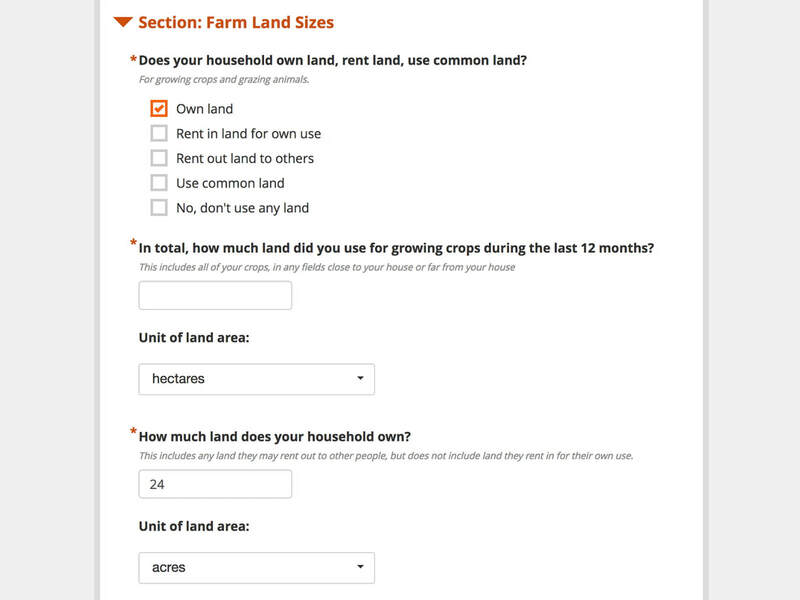 The RHoMIS tool is available for use by researchers and organisations working with rural households. ONA website (no account needed).